9 Simple yet Effective Tips for Buying a Car with Bad Credit - Muscle Cars Zone! Need a new car but don’t have good enough credit? No problem! 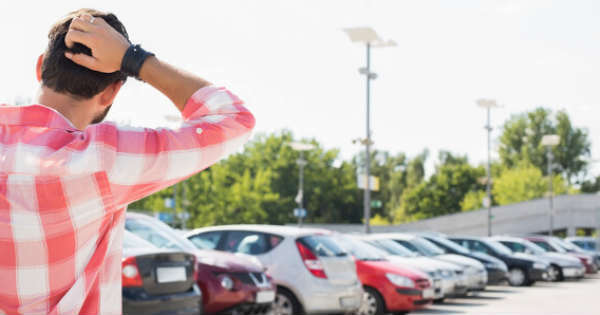 Check out these 9 simple, yet effective tips for buying a car with bad credit! If you are ready for a new ride, you may have already started shopping. Before you buy a car, though, check to see that you are getting the best deal possible. When your credit isn’t the best, you may need some extra help to get into a great vehicle. Americans are $27 billion more in auto debt than last year, but with a low credit score, it’s harder to find a vehicle you like and can afford. 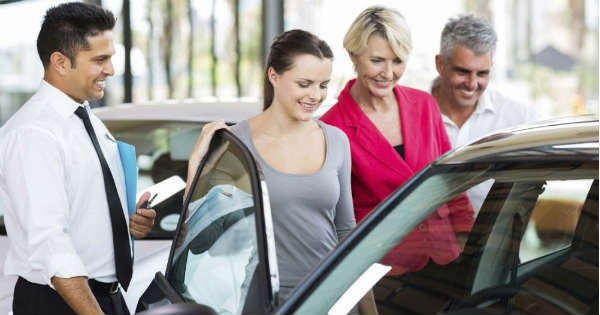 Buying a car with bad credit is possible with the top nine tips below. Keep reading for ways to drive a new car today, even with a low credit score. The base model of any vehicle may not have leather seats, but it is still brand new. Leaving off the extra features is a good way to save money at the beginning. Trading a sunroof for a lower payment might be the quickest way into a new car if your credit is low. Have a conversation before you go. Make sure that your partner or spouse is okay with sacrificing the fancy features before you suggest it to the salesman. Don’t put pressure on yourself to make a quick decision. If you aren’t sure about the extra features, let the salesman know that you will have to return another day. It’s okay to leave and think about a big choice like a new car. The worst idea is to decide too fast and develop buyer’s remorse. Make sure to keep working toward a clean credit report, and your score will improve, even within a few months. Yes, there are some loans available, even if you have bad credit. Especially if you have a credit score that is lower than 600, your best options may be loans for bad credit. You may not end up in a Corvette for the loan you are able to take out. But when you make your payments on time, you’ll build your credit score a little at a time. Then for your next vehicle, your credit score might be able to get you better loan terms and the dream car you’ve been hoping for. You need to know what you’re dealing with before you shop. Check your credit online for free so that you are able to tell the car salesman exact numbers. They will be able to give you a more specific idea of your possible payment if they have all the information. The bigger down payment you can make, the smaller your monthly payments. If you can wait a few months and save up a bigger chunk of change, you’ll be able to get a car with lower installments. Even though you’re spending more at the onset, you’ll actually be spending less per month when it comes down to it. Another great way to add value is to bring a car to trade in. The dealership will give you money back for the vehicle you trade in, taking further money off the total price of the new car. Add that to the down payment, and you lower your monthly payments even more. Sometimes credit unions have better terms on their loans than other places. Their interest is a little lower, and they may also be more forgiving when it comes to credit history requirements. If you become a member, you may get an even better deal. Consider joining the financial institution to get the best loan terms possible. If a car lot says, “Buy here, pay here,” they may not have the best reputation. This type of dealer most often has higher payments and lower quality vehicles, even if they boast that they can get you approved. Some don’t check credit at all, but you sacrifice the caliber of the car. Get a nicer car somewhere else, where you also get better terms on your loan. Choose a car that is only a year or two old with good mileage, instead of a new car. New cars smell nice, and they are attractive because you’re the first person to drive it. But often the better value is a newer used car, in good condition. You’ll still get many good miles out of it, and you’ll get it for a lower price. Don’t buy a car until you’ve considered the used options out there. Look into programs in your state that are for those with low credit. Programs like Ways to Work can help you afford a vehicle so that you can still get to work and keep making payments. It may not be available in every state, but other programs like this exist to help you if you can’t get a loan on your own. Buying a car with bad credit is possible. Follow our nine tips, and you’ll be on your way to a new ride soon. These are simple, effective ways to afford the vehicle of your choice. For more help with cars, bikes, trucks, and more, read more of Muscle Car Zone’s blog.